Ramos has paid a rich tribute to the three legends who played their last games for their respective clubs. 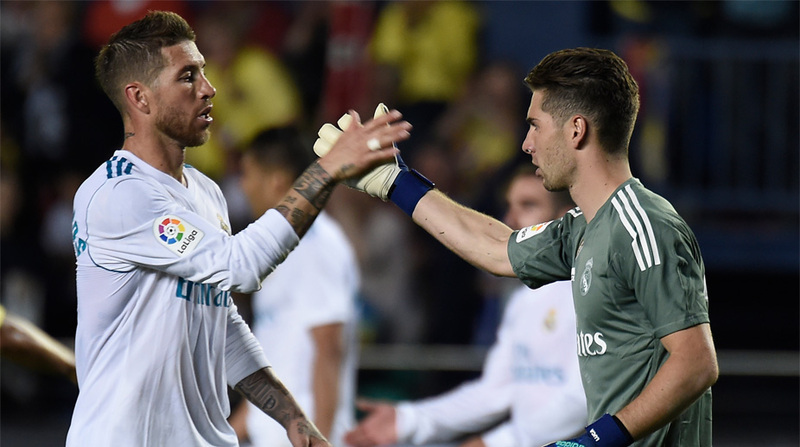 Real Madrid skipper Sergio Ramos is a bonafide footballing legend but the centre-back just won some more brownie points as he penned a simple, yet classy tribute to Fernando Torres, Andres Iniesta and Gianluigi Buffon on Twitter. Habéis hecho más bonita la batalla y mucho más grande el fútbol. You have all made the battle more beautiful and football much bigger. The three played their final matches for their respective clubs on the weekend and while Iniesta and Torres are expected to continue playing, it looks like Buffon will be calling time on his career. The 40-year-old Juventus custodian has been stymying opponents for 17 years and Bianconeri captain won a plethora of trophies during his time with the Old Lady. While the UEFA Champions League title remained elusive, Buffon and Co. managed to establish Juventus as the most successful side in Italy as they recovered from getting relegated to winning six league titles on the trot. Torres, a product of Atletico Madrid’s Academy, has found playing time hard to come by in his second stint with the Rojiblancos but departs a legend as he played his part in their UEFA Europa League triumph this season. The 34-year-old striker, who has played for some of Europe’s finest sides like Chelsea, Liverpool and AC Milan, is still hot property and has been linked with a return to the Premier League. And last but certainly not the least is Barcelona’s resident midfield wizard for the past decade-and-a-half, Andres Iniesta. There’s not a trophy the diminutive 34-year-old hasn’t won with La Blaugrana as he played a pivotal role in putting them back on the world football map. Considered by many as one of the greatest Spanish midfielders ever, Iniesta looks set to move to either Japan or China in the final act of a glittering career.